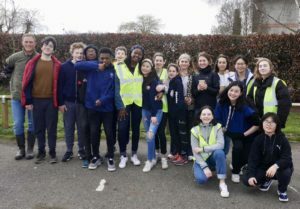 17 pupils from The King’s School and King’s International College joined forces with volunteers from the Canterbury community for one of the biggest litter picks and clean ups that the city has ever seen. The clean-up was organised by the Friends of Kingsmead Field and was the first in a series of community litter picks taking place around the city during the Great British Spring Clean, a nationwide clean-up which is coordinated each year by Keep Britain Tidy. In total, more than 70 sacks of litter were collected across a large part of Canterbury, including Northgate, St Stephen’s, St Radigund’s and Kingsmead. Our trusty volunteers were commended for their hard work by the organisers and deemed a credit to the school. Great job everyone!